Warm Christian greetings. 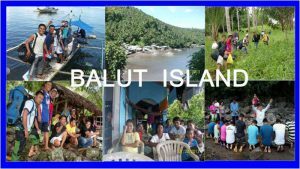 We are happy and grateful to our God for keeping us all safe during our missionary trip to Balut Island, though there were many frightening challenges such as heavy rain, big waves, a typhoon and the LPA. We departed from General Santos City on July 15, approximately at 11:00 pm and reached the port of Mavela, Balut Island the next morning at 7:00am. We had expected to proceed to our destination immediately after our breakfast but the night came and the pump boat that was to take us there did not come because of strong wind and big waves. We finally reached the area (Barangay Tagen) on Friday afternoon and that night, we started our nightly meetings – The Happy Family Life Seminar. The next day, we spent our Sabbath services in the house where we stayed. We did house to house visitations, made friends with the people and gave Bible studies immediately. There were obstacles: First, the people of the place did not want to accept our message. But through the power and the work of the Holy Spirit, eleven (11) precious accepted God’s message of Love and Salvation and was brought to Jesus through baptism. We are planning to go back because we believe there are still many people there who need to be rescued. I thank you for the prayers and support.